Karol Capel is a young boy who grew up in Dahngrest, a city that is central to the guilds. He joined many guilds throughout his youth, but was always kicked out due to cowardly behavior. When Karol first meets Yuri and Estelle, he is a member of the Hunting Blades, a guild focused on killing monsters. He mistakes the party for an eggbear and attacks them, but is soon overpowered and is frightened by Repede. 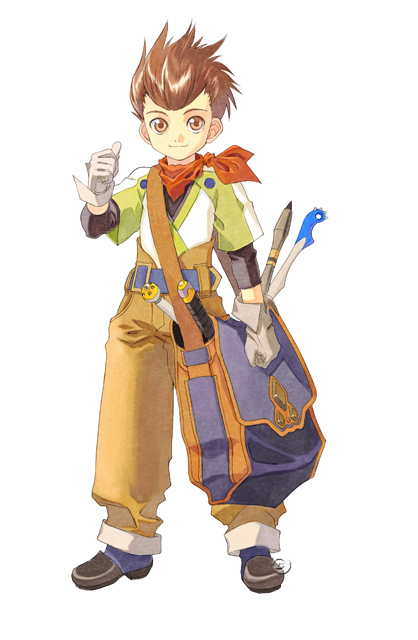 He is kicked out of the Hunting Blades soon after that and ends up joining Yuri, Estelle, and Repede on their journey. Eventually, Karol and Yuri form the guild Brave Vesperia together. Karol is very enthusiastic and eager to participate in guild culture. His lack of self-confidence often appears to others as cowardice, which alienates him from others in Dahngrest. 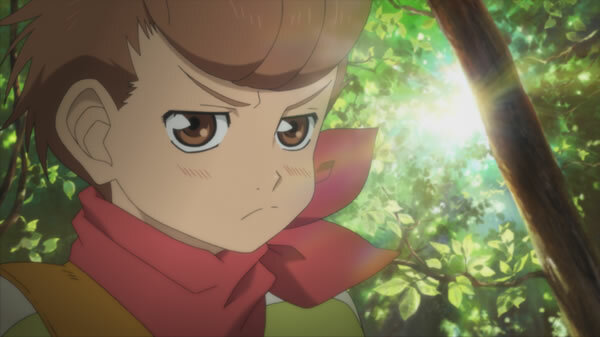 Karol very much admires Yuri, who in turn looks to Karol as the leader of their Brave Vesperia guild and helps him to grow his confidence in the process.